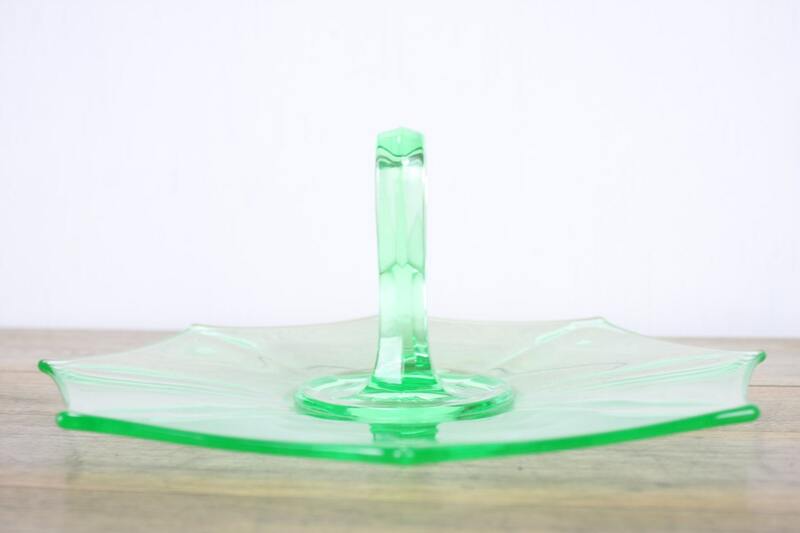 This beautiful 12 inch faux uranium glass serving dish is in great shape and ready to round out your collection! 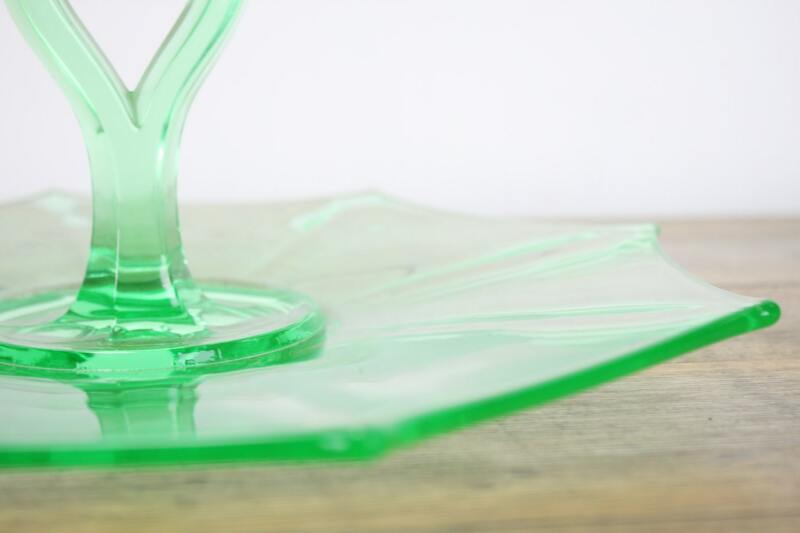 This piece has a light, iridescent green hue and offers a glowing platform for you culinary creations! 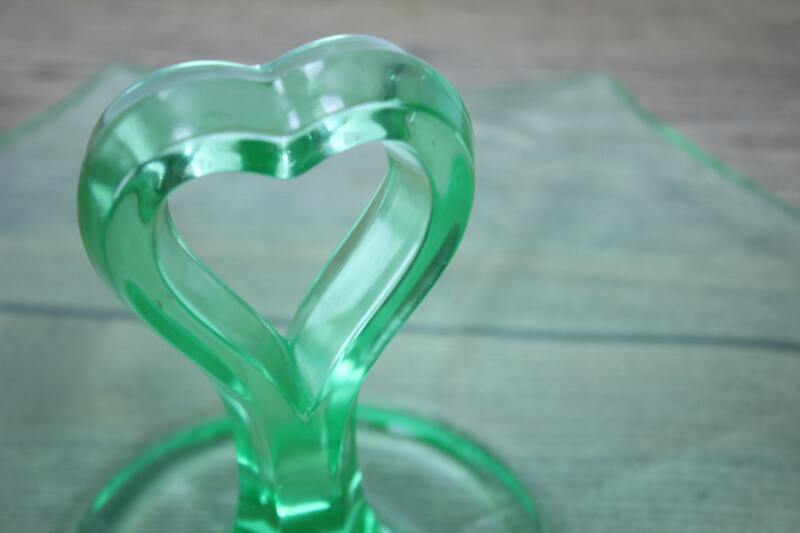 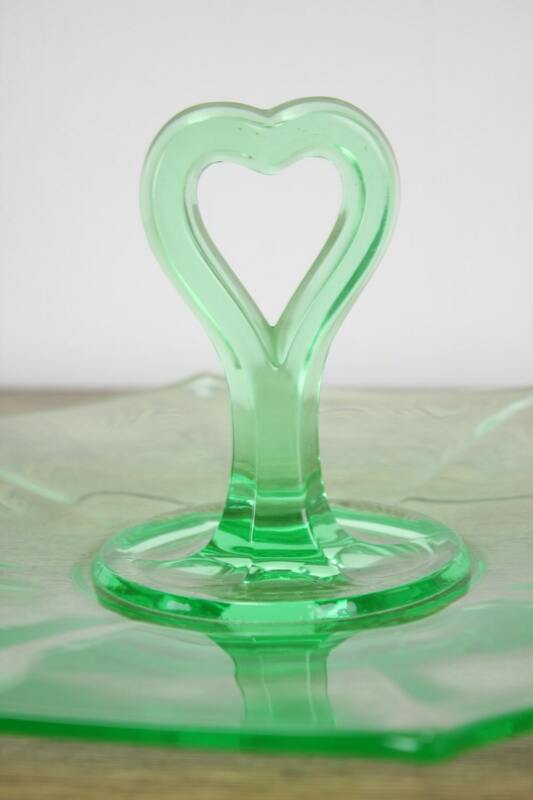 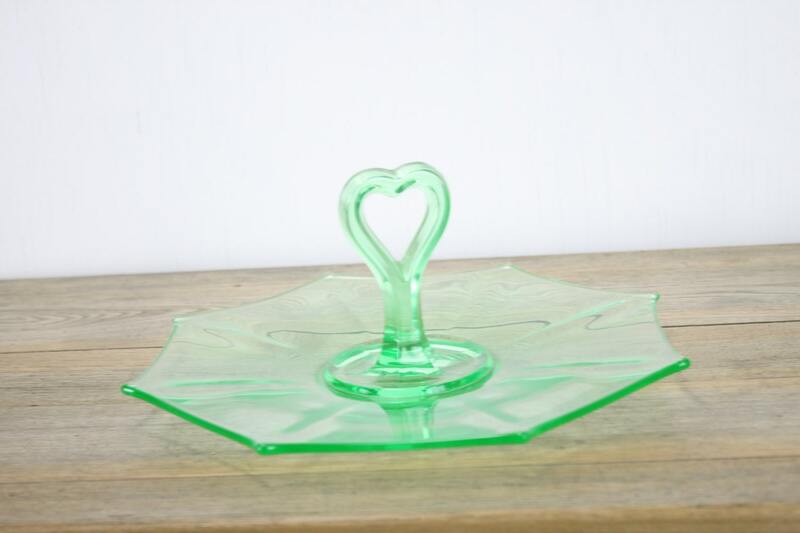 This beautiful piece of depression glass is a whopping 12 inches across and has an endearing sweetheart handle!